This week, I got hit with a high fever for three days, so have moved my Week 7 book to Week 8. However, I did manage to still read an entire book…but not exactly a novel. 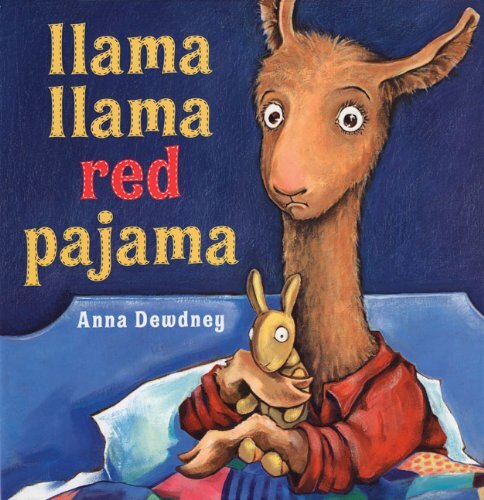 This week I read a children’s book to my nephews, Cooper (age 4) and Jack (age 2): Llama Llama Red Pajama by Anna Dewdney. The book is one of their favorites, and the first time Cooper had it read to him, a certain someone was a bit too dramatic in their storytelling made him cry (lesson learned). 1) The book rhymes (but not in an annoying way). 2) The book teaches a valuable lesson (be patient with your parents). 3) It’s a perfect “quick read” before they go to bed (translation: this book can be read in 5 minutes, so if your nephews are asking you for one more book after the five you’ve just read them, you can say “Okay, we’ll read Llama Llama Red Pajama, but THEN you’re going to bed. Deal?” You get what I mean.). What else have I read during my yearlong reading project? 52 Books in a Year: Week 6 Coworking: who you surround yourself with matters.